More than any other factor, experience plays an intrinsic role in the quality of a roofing company. Roofing companies are trained to assess damage and make recommendations, and you want to be sure that you are hiring a company with years of training and experience in recognizing damage. They should be knowledgeable on the necessary steps to repair problems properly with years of proven success. A lack of experience can lead to greater problems at a future date that may end up costing you more if you choose a less experienced roofing company. When contacting roofing contractors, be sure to ask about their insurance and warranties. You want the security of coverage in knowing that both the materials and the labor are covered under warranty. Ask specific questions of your roofing contractor about what their warranties cover. Do they have workers’ compensation insurance? This will protect you in case a worker becomes injured on the job. How long are their materials covered under warranty? Do they offer a workmanship warranty that will protect you in the chance of incorrect installation which requires repairs be made in the future? Even though most states require contractors to be licensed and insured, there are still a handful of “contractors” who are not. Ask to see their license and read through their contract and warranties to be sure that you understand what is covered in case of future roofing emergencies. The on-site supervisor is the person you will be working with day-in and day-out. This person will be responsible for overseeing the entire roofing project. Be sure to spend some time with this person and analyze whether they will be someone that you want to work with regularly. Ask for their personal resume and experience, as well as references for their roofing work in the past. Were they courteous towards clients? Did they ensure the job-site (or the home) was treated with care? Did they leave a mess in their wake for the occupants to clean up or did they ensure they left the property in a clean and tidy condition? Who knows more about whether a roofer is someone you should use than a person or company who has used their services in the past? References are an important part of choosing a residential or commercial roofing contractor. It is important to ask for multiple references and hear about individuals’ experience with a particular roofing company. Finding out whether the roofers were prompt in communication and in addressing problems, whether they finished the project in a timely manner, whether the on-site roofers were professional and easy to work with, and whether they stayed on budget are important questions to ask when checking references. Ready to Talk to a Roofing Contractor? If you have questions or concerns about your roof and want to discuss them with a roofing professional, we’re here to help. 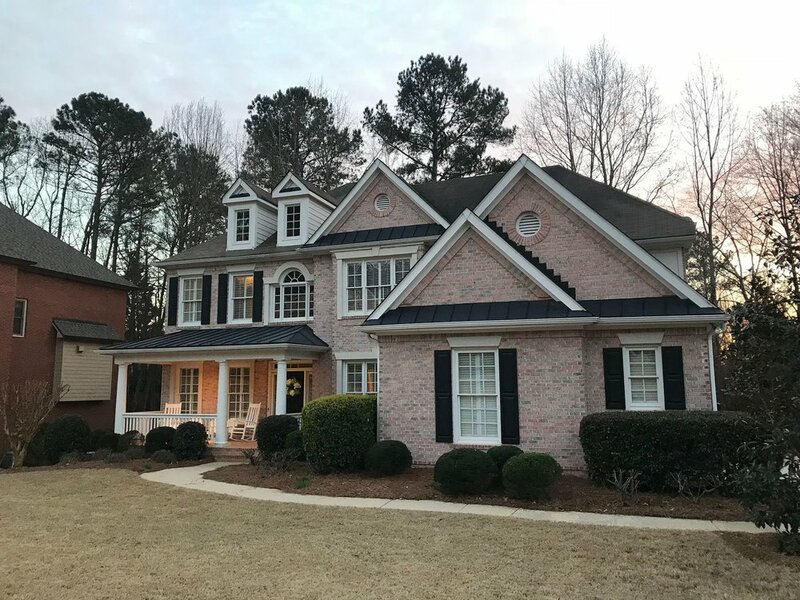 We have extensive experience in both residential and commercial roofing and are committed to providing ethical and quality roofing services to the metro Atlanta area. If you are looking for a roofing contractor in Kennesaw, GA or nearby, we’d love to talk with you and answer any questions you might have. You can contact us at 678-945-0030 or visit our website at AllRoofSolutions.com for more information.